Someday I'll Sleep Autism Blogs: The Machines! That is a wonderful looking setup! 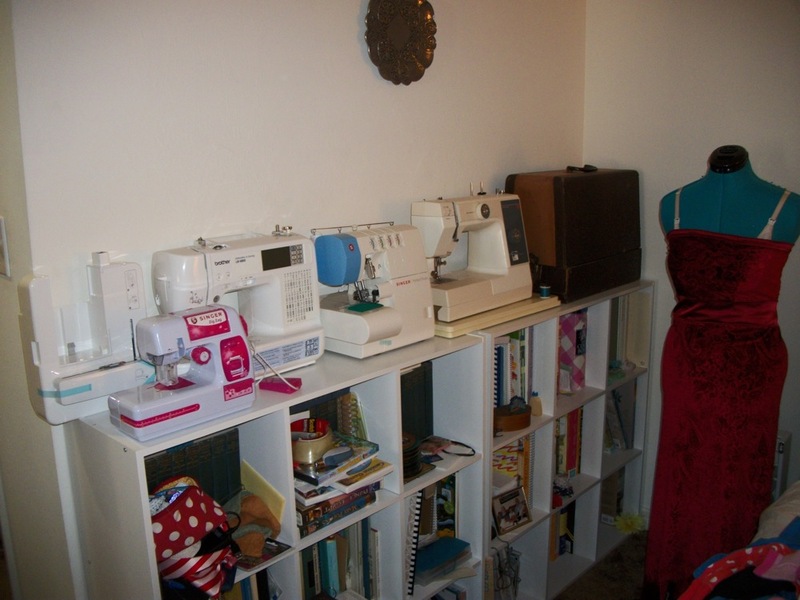 I've two machines out, one in a carry bag for when I get with others to sew, and an older pfaff (spelling?) that works but is not in use because hubby got it, fixed it, and surprised me with it as a back-up... I figure eventually it will belong to one of the kids. Someday I hope to get a dressmakers dummy. It sure would make fitting nice! I think my sewing machine is only a few steps above what Sadie has. LOL. When it comes to sewing my only options are zig zag or straight.